Increase your gas station or truck stop street appeal! A study has found that cars are more likely to pull into gas stations and purchase more fuel with better quality lighting. The study found that the percentage of turning into the station increased immediately following the upgrade in lighting. Is your dealership inviting at night? Titan LED Lighting Solutions can show you how to significantly increase traffic, render your vehicle correctly, while improving safety and security. Safety, Quality, Delivery, Cost. Titan LED Lighting Solutions offers improvement in each of these key Manufacturing issues. Modernize the campus appearance. 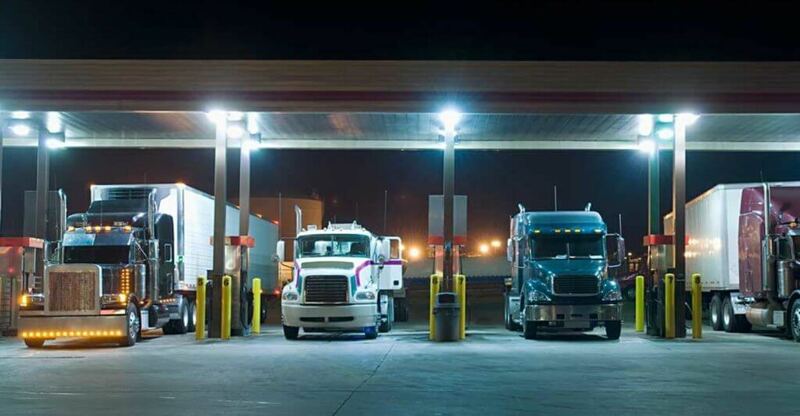 Added safety and security are but a few of the benefits utilizing Titan Led Lighting Solutions products.